Established in 1997. The Canadian Identification Project is applicable only to animals not registrable or identifiable under the Animal Pedigree Act. CLRC's registry for non-purebred animals is fully operational, and any animal which cannot be registered with a breed association incorporated under the Animal Pedigree Act is eligible. 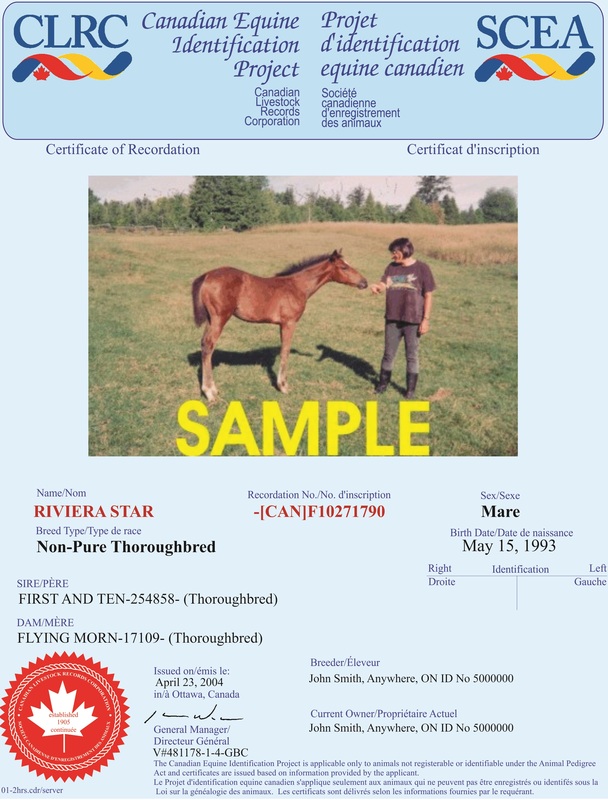 The Canadian Identification Project takes advantage of CLRC's long standing experience in the pedigree business as well as expertise in a multi-breed and species environment. To simplify the process, applications will be accepted by mail, fax or electronically. 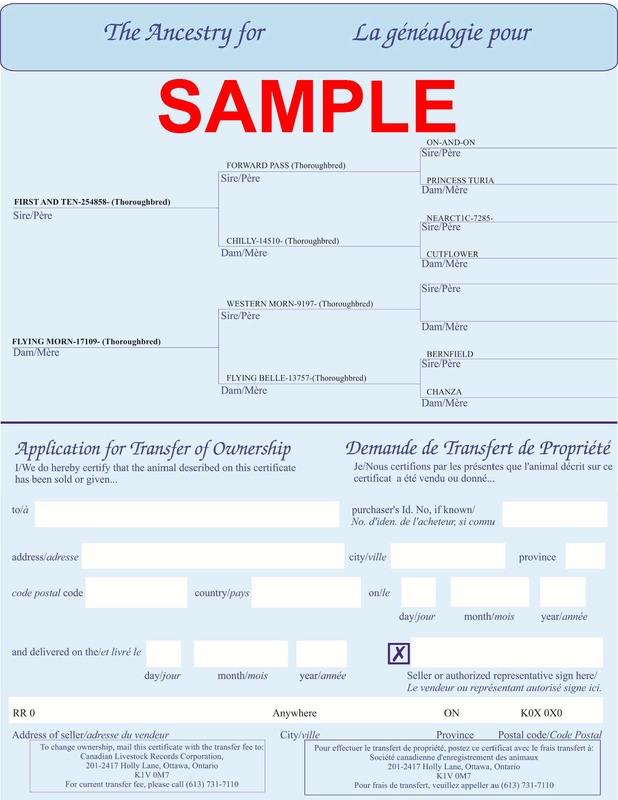 The application can be either filled out directly on the Internet and submitted automatically or printed, completed and then mailed or faxed. Two different certificate designs are available. The more basic certificate features the Can Id logo and a red seal. The deluxe certificate has a gold embossed seal and space for a color photograph of the animal. 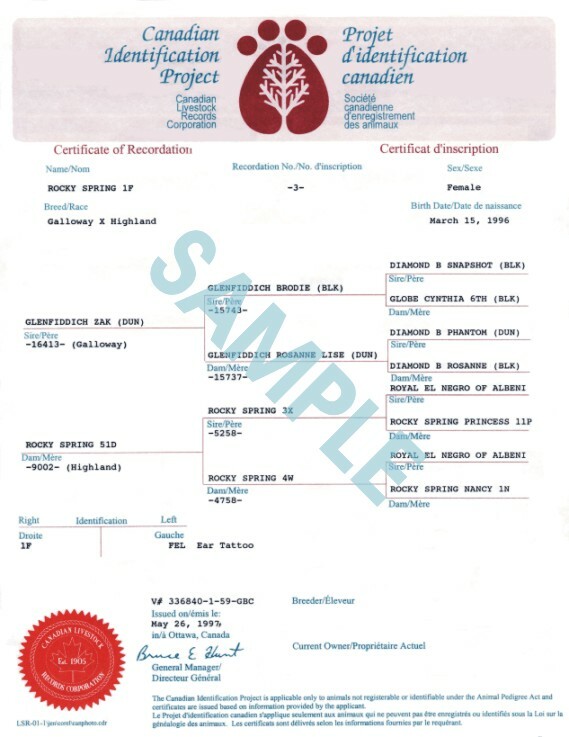 Both certificates are printed on high quality paper and have space for up to 3 generations of ancestry. CLRC sees the main market for this registry to be the pet and horse sector but is also intended to cover non-purebred livestock of other species and even exotic animals. association can be recorded under this project, and you will receive an attractive certificate. ancestry) can be included if known and submitted with your application. submitted, or printed, completed and then mailed or faxed. quality paper and have space for up to 3 generations of ancestry. allowed for a photograph of the animal.